If you are researching online for quality Fort Myers Florida dentistry, we ask that you take a minute and consider some key areas of dentistry that make doctor Trettenero different from the rest. Here are a few links to those compelling specialties you will find at the Dental Office of D. Scott Trettenero, DDS. CEREC technology – Now, most good dentists have CEREC technology, but did you know that doctor Trettenero, was one of the first Fort Myers Dentists to bring CEREC to Southwest Florida. CEREC dental technology is a precise milling process used in the making of dental implants. CEREC is done while you wait in the office. Before CEREC, your dentist would need to send the mold of your mouth out to a third party and you would have to wait over a month for a crown or implant to be created and shipped. Invisalign – Invisible braces align your teeth without seeing wires and metal. Periodontal Laser – You may think you do not have gum disease but one out of four patients will test positive for periodontal gum disease. We have the technology to treat periodontal gum disease right here in our Fort Myers office. Dr. Trettenero is one of the first dentists to invest in the periodontal laser. Digital Impressions – If you ever had the horrible experience of getting impressions of your teeth made with a tray of messy goop that makes you gag as the goop hardens in your mouth? Those days are over at this dental office. Laser teeth impressions can be used for dentures, bridges, veneers or crowns. Dental impressions offer digital imaging of your teeth with no trays or goop. Doctor Scott Trettenero makes your dental health his top priority. He understands that going to the dentist does not have to be a painful experience. That is why we offer a treatment called, “Painless Injections” and worry free dentistry. Read an Article written by Dentist, Scott Trettenero DDS on painless injections. The term modern dentistry is yesterday’s news at the dental office of Scott Trettenero DDS. The dental industry has experienced the same rapid advancements in technology as seen in most every other industry. The leaps in dental technology have improved waiting times and the comfort patients experience from the chair. The Dental Office of Scott Trettenero, DDS is filled with the latest and the greatest in dental advancements. Competing Fort Myers dentists are just now getting into technology that Scott Trettenero, DDS has been using for over a decade. A Fort Myers Dentist with a 98.9% patient approval rate. Doctor Trettenero takes the time to ask his patients how he did. He surveys and follows up with each and every patient he sees. Doctor Trettenero is not satisfied unless you have received the best dental care possible. 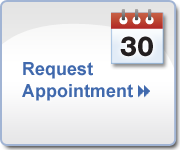 Request an Appointment here. To fill out a New Patient form click here. *The patient and any other person responsible for payment has a right to refuse to pay, cancel payment, or be reimbursed for any other service, examination, or treatment that is performed as a result of and within 72 hours of responding to the free, discounted, or reduced fee service, examination, or treatment.